Room Classics - Living Room — Patricia McLean Interiors, Inc. The living room is one of the few rooms original to the house. The architecture, Palladian doorways and arched openings, is echoed by the curve of the room’s piece de resistance, the black lacquer chinoiserie secretaire. The play of shapes throughout the room enlivens the space. Passages in and out of every wall were a challenge to unify. 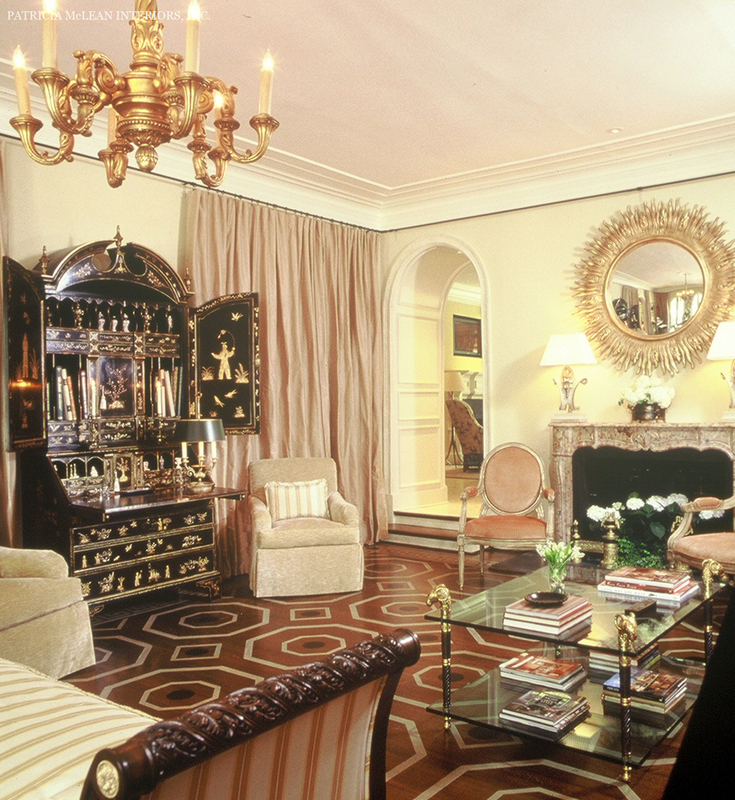 More than 130 yards of Lee Jofa champagne-colored silk were draped with dramatic effect around the perimeter to unify the room and provide privacy. 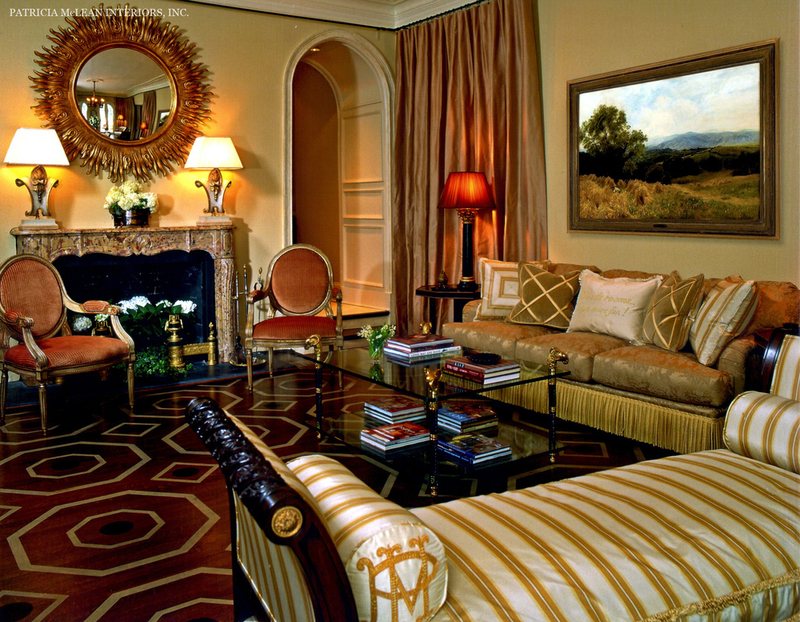 The addition and installation of the antique French marble fireplace lend a Continental feel. Antiques, including a mahogany Regency center table, were mixed with timeless reproductions such as Bergere-style chairs, an elegant carved mahogany daybed and custom-designed octagonal end tables.